邓小娟, 酆少英, 左莹, 等. 利用浅层反射地震资料中的面波与初至波研究剖面浅部结构[J]. 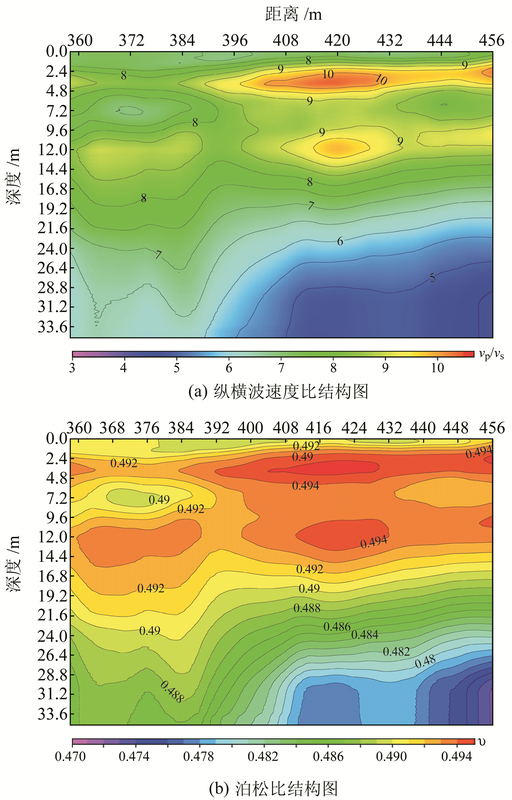 大地测量与地球动力学, 2019, 39(4): 425-431. DENG Xiaojuan, FENG Shaoying, ZUO Ying, et al. 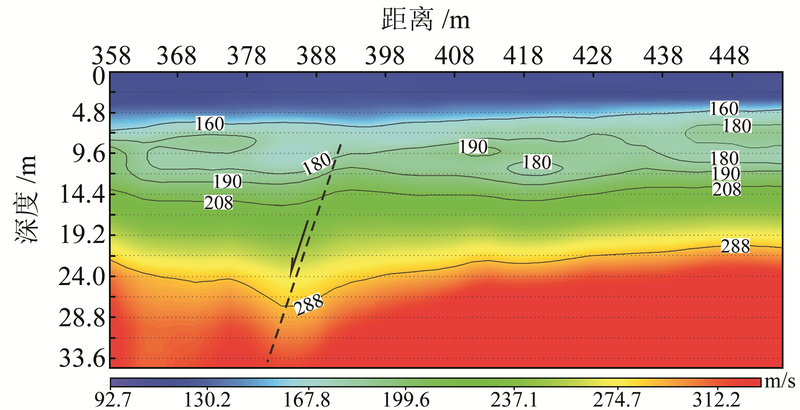 Research on Shallow Structure Using the Surface Wave and Primary Wave of Shallow Reflection Seismic Data[J]. 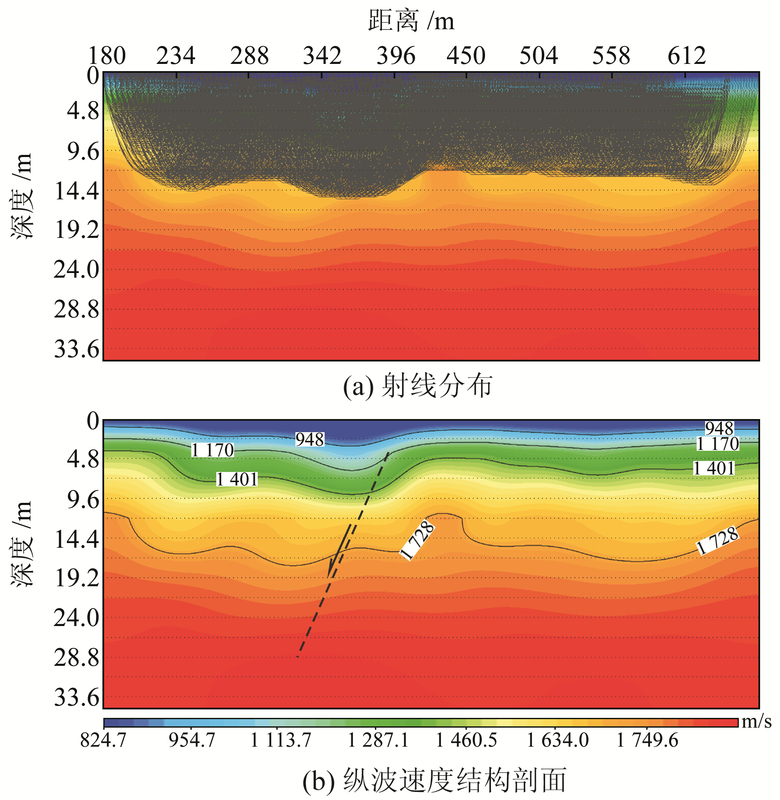 Journal of Geodesy and Geodynamics, 2019, 39(4): 425-431. Youth Foundation of Geophysical Exploration Center, CEA, No.YFGEC2016005;The Earthquake Tracking Task of CEA, No.2018010234. 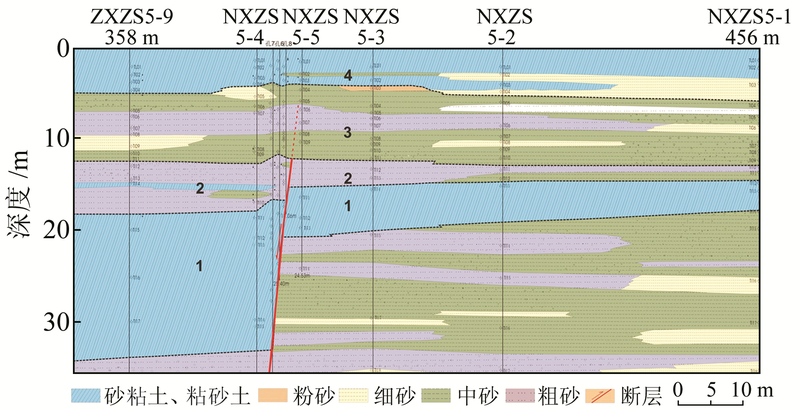 DENG Xiaojuan, engineer, majors in seismic data processing and interpretation, E-mail:dxjjob@sina.cn. Foundation support: Youth Foundation of Geophysical Exploration Center, CEA, No.YFGEC2016005;The Earthquake Tracking Task of CEA, No.2018010234. About the first author: DENG Xiaojuan, engineer, majors in seismic data processing and interpretation, E-mail:dxjjob@sina.cn. Abstract: This study makes full use of the surface wave and the primary wave information from the shallow reflection seismic data. 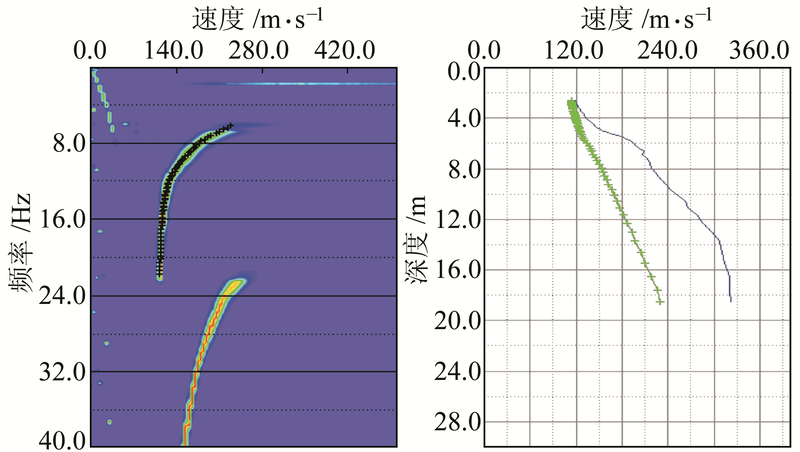 We use the method of MASW to obtain the shallow shear wave velocity structure, and use first break travel-time tomography technology to obtain the P-wave velocity structure. Then, we get the velocity ratio and the poisson ratio data. Combined with the reflection wave stack section and the cross-fault borehole profile, the shallow strata are comprehensively interpreted. 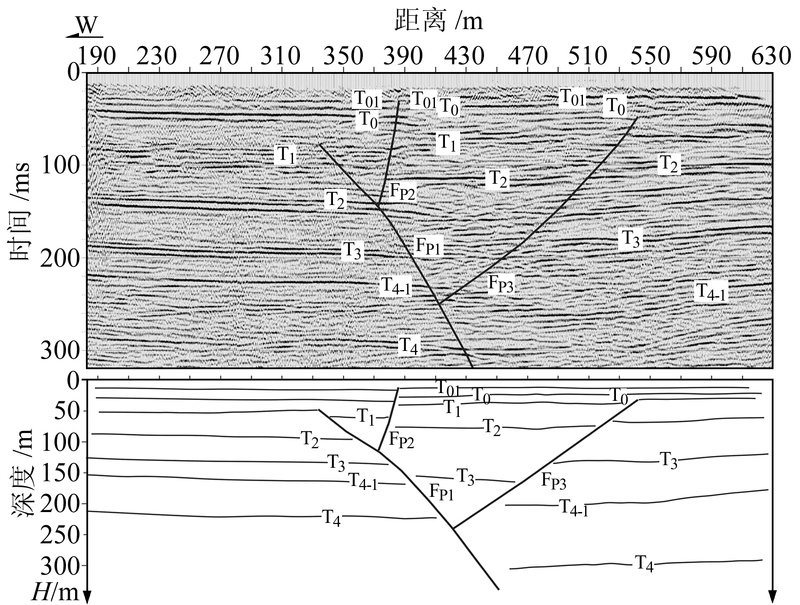 To some extent, our method compensates for the missing shallow reflection information, and plays a very important role for determining location and nature of the shallow faults.